Spend a few minutes checking out the wide range of hotels available in Hamilton. Fortunately for you, there are 12 within 5 kilometres of the centre of town. You must check out the Comfort Inn Botanical and the Best Western Hamilton Lakeside Motel. They're both right in the centre of Hamilton. You may want to also investigate the Hamilton Lonsdale Motel the Lake Hamilton Motor Village & Caravan Park. Score a hole-in-one or at least stay out of the sand traps at Hamilton Golf Club. Comfort Inn Grange Burn and Hamilton Townhouse Motel are handy options if you want to be near this attraction. Ansett Transport Museum is a museum devoted to showing the history of travel. Stay at AAt 28 Goldsmith formerly Goldsmith Motel and Mourilyan House and you can visit this site everyday. 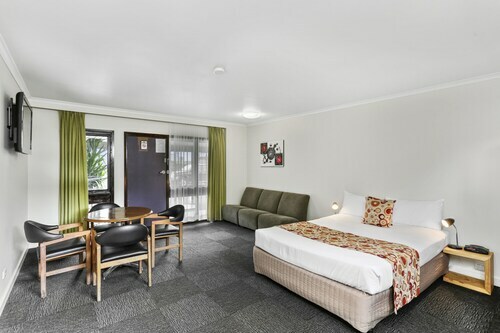 If you find yourself requiring more accommodation options in Hamilton, look into the Budget on the Lake and the Boomers Guest House Hamilton. They are 0.7 kilometres and a kilometre away from the center. Wotif also suggests the Hamilton Caravan Park and the Bandicoot Motor Inn. The first is a kilometre away from the city, while the second is 2 kilometres away. Don't disappear without taking a look at what there is to see and do in the rest of the region. Visit the history museums and art galleries in Grampians, or head off and admire the region's lakes, mountains and valleys. In this region of Australia, travellers may also try rock climbing and mountain climbing. If you'd like to go to some close by localities, try Dunkeld and Halls Gap. Journey 30 kilometres to the northeast of Hamilton and you'll discover Dunkeld. That said, Halls Gap is 80 kilometres to the northeast. Dunkeld hotels and apartments are the Southern Grampians Cottages and Royal Mail Hotel, Dunkeld. 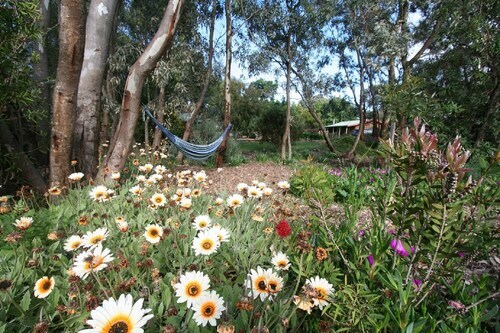 Halls Gap options include the DULC Cabins and Grampians Getaway Resort. Wotif hopes you have a truly memorable time in Hamilton! Wherever it is you'd like to go on this amazing planet of ours, we'll get you there, on budget, on time and in style! Hotels in Hamilton start at AU$94 per night. Prices and availability subject to change. Additional terms may apply. Very quiet position as it is off highway but very close to town. Very accomodating staff. Beautiful cosy and clean cabins in a super location. Good motel and great restaurant. Will stay again.